I appreciate that six year old Olivia is always using her imagination to go on real-life and pretend adventures. This pre-school age series is funny, entertaining and lots of fun for the entire family, even the grown-ups who are sure to delight in Olivia’s flare for drama. 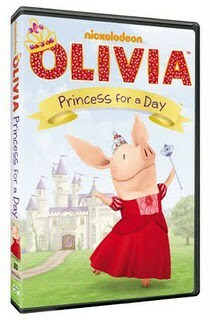 Olivia™ Princess for a Day is available for purchase on DVD for the SRP of $13.99 on September 6th 2011.